It's kind of a bargain, though. For whisky collectors, The Macallan has apparently become the most coveted name on the market. The Speyside Scotch brand has been smashing records left and right, including a new benchmark this past May for the most expensive whisky ever sold: a single 750-milliliter bottle of The Macallan Valerio Adami 1926 60-Year-Old that was auctioned off in Hong Kong for $1.1 million — or about $65,000 per shot. Yes, those numbers are out of pretty much everyone’s league, but if you’re interested in investing in some rare Macallan scotch with a lower bar of entry, here’s some good news: a miniature of The Macallan 1937 is set to go under the hammer in Scotland this Friday. The anticipated price: a mere $1,000 to $1,300. Paying over a grand for 50 milliliters of liquid may sound a bit ridiculous, but if you’re actually interested in buying this Scotch for tasting purposes, it practically feels like a bargain. 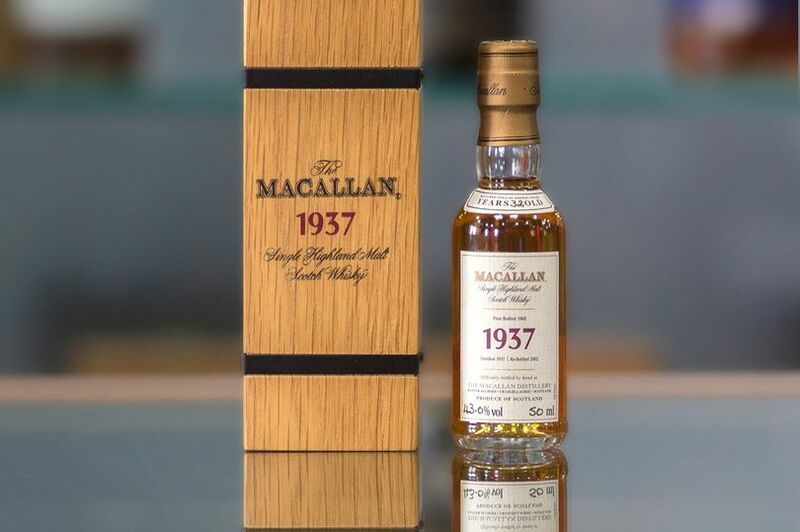 Multiplied out to full-bottle size, this The Macallan 1937 Fine & Rare — which was first bottled as a 32-year-old back in 1969 before being rebottled in its current packaging – would be worth just under $20,000. Compare that to The Macallan’s recent 72-Year-Old release which was distilled back in the late 1940s: Those bottles are set to hit retail at $65,000 each. The difference is that, a lot of the time, part of the pricing is the bottle itself. For instance, the 72-Year-Old comes in a Lalique crystal decanter — a package a bit more impressive than what you buy when you want to sneak whisky into a concert. Keep in mind, however, the $1,000 to $1,300 price range is just an estimate, and many Macallan bottles have been going for a lot more than anticipated as of late. This auction could potentially become as heated as if this was the last mini-bottle on a Friday night flight to Las Vegas.